A project aimed at supporting interesting business ideas and community development. A coworking center for everyone, including start-ups. In April 2014, we started working on our first project: a new coworking center in Prague. We wanted to create conditions for start-ups, freelancers and start-up entrepreneurs who need a good background and community to start their business, where they can share contacts, experience and inspiration. We found suitable premises in an older office building in Holešovice and breathed new life into them. The main task of architects, designers and laborers was to combine heavy industrial elements with natural elements that create a fresh and creative atmosphere while also reminding us about our connection with nature. The result was also success in the competition of innovative office concepts Boardroom of the Year: IN-SPIRO won it at the end of 2014. 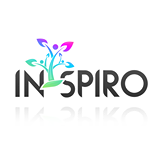 The basic and main goal of IN-SPIRO is to be an open, high-quality base for all who need inspiration for their work and want to use coworking services. A specific, individual goal is to attract and bring start-ups and those who are interested in working for start-ups. We think we have a lot to offer start-ups and startupists. After all, not only IN-SPIRO, but DEGIRANS SE themselves are start-ups! And they have been working hard on their own growth for some time now, so they can pass on and share the necessary experience, knowledge, skills, and useful contacts. We have found that the start-up scene in our country is already quite well-run on the one hand (shows, exhibitions, competitions, meetings with investors), but on the other hand it lacks many crucial elements, including a good exchange of information. These include, among other things, the fact that start-ups do not usually realize that they should learn from the very beginning to work well for themselves. Thus even at times when they are not flush with cash from an investor. IN-SPIRO therefore, for the year 2017 and the following period, is preparing support for start-ups, even if they are still open to everyone. Everyone who comes to our coworking center can expect, at a minimum, advice, as well as often help (such as contact with an expert) in finding an effective way to implement their project. A project focused on sustainable development of the company and personal growth of individuals, with an emphasis on creating sufficient financial reserves to free their lives. 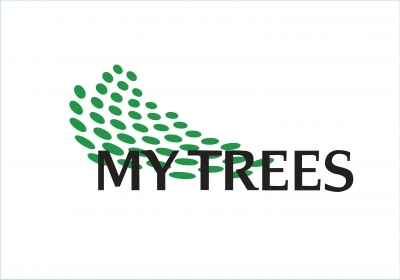 The aim of the project is to grow fast-growing trees and to successfully launch it on the world market (initially primarily in the European Union). We aspire to provide investors who support this project as our shareholders, the opportunity to gradually build personal financial well-being and financial independence. As a tool to meet this goal, we choose the unconventional linking of network marketing and "green" eco-business. A planned and an integral part of the FGT project is also the so-called "secondary educational effect", i.e. mass expansion of the idea of sustainable development. In the first phase, in 2015, the FGT project started by raising capital from individual investors, which was very successful, so it could make a big leap forward in 2016 and in the first quarter of 2017. We have managed to find a strategic partner in Paraguay, where we bought land, the first nearly 600 ha for planting fast-growing trees, and soon the next phase will begin, the planting of the first trees. This has increased DEGIRANS SE's assets by at least CZK 100 million, which is a great success! A software selection process has recently been concluded. TimePress was the winner on a team with LastStar.eu. We have also begun negotiations to work with an American law firm that has experience in similar projects to create a serious legal framework for the sale of trees. This is because we want to operate this business under the auspices of the World Association of Direct Sales. This prestigious international organization guarantees a serious networking business. This means that we comply with their rules so that we can work as their member. We already have an agreement with a professional MLM company that creates a platform for us to be able to sell trees to the public in a unique global project. Unique geolocation applications with social network elements, with many practical features for personal life and business. DEGIRANS SE decided to support this technological start-up in 2016. The creator of Spacespy is a Slovak Richard Olšovský, who, among other things, says: "Other social networks are mainly concerned with the past, that is, what the user was doing where he was ... However, a Spacespy status is a future activity: you can show the world a piece of your future and allow it to influence it the way you want ..."
What is Spacespy used for? 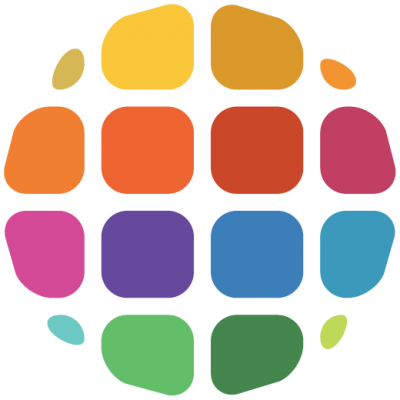 The Spacespy application can be used for a truly practical geolocation search for dining options, accommodation, travel, cultural, social or sporting events, etc. in a concrete location you specify on the map. You can also search for friends already known or brand new ones in live time to go for a bike ride, a drink, or just about anywhere. Of course, free chat is a classic feature, as well as the ability to choose whether you want to be "visible" for everyone or just for your chosen friends or for no one. The entirely unique feature of Spacespy is a mass-paid message that is much cheaper than regular advertising. Everyone can thus reach out to everyone who, using the "circle on the map", has searched for something in the given location and offer their services or goods, or to do a quick consumer survey in this way. Every single user who responds to it then has financial profit from such a message. Another way Spacespy can make money is to distribute this app through an affiliate program. The number of Spacespy users is growing in line with our expectations. That is probably why we got an invitation to Singapore to the World Wealth Creation Conference (www.worldwealthcreation.com ). In November 2017, we will go there with Spacespy as a start-up in the alpha phase. Although DEGIRANS SE is helping Spacespy as an investor, it does not aspire to be its main investor. Therefore, at this great international showcase of new technologies, we will primarily look for an app of a major investor to help Spacespy become what it should become - a global player in the field of geolocation applications. This risk diversification project is designed exclusively for our shareholders. As all previous projects are naturally associated with certain risks from the perspective of investors, we have decided to add the PLAY SAFE project to the DEGIRANS SE portfolio. Its content is the purchase of real estate and other commodities - so DEGIRANS SE is as secure as possible.